ESL One Genting 2018: 3 Things That We Learned About E-sports. 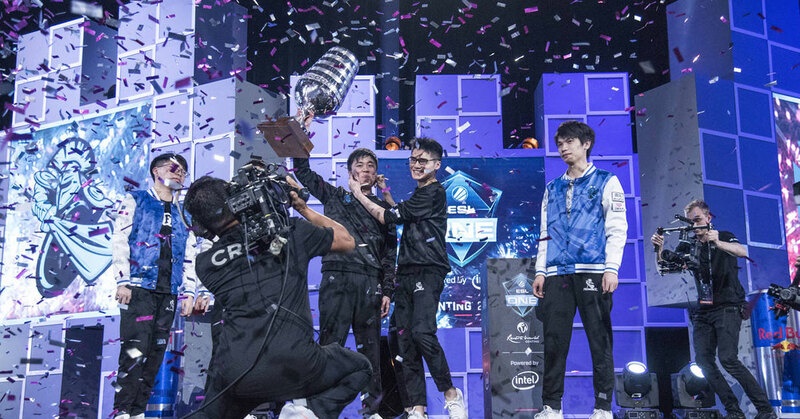 ESL One Genting was held over the last weekend, with 16 Dota 2 teams from around the globe competing for the prize pool of US$400k. Dota 2 as well as other popular video games such as CS:GO and Overwatch make up the e-sports industry. The e-sports scene, while often mired in controversy, has a global following numbering in the millions and revenues that expect to hit US$1.5 billion by 2020. Malaysia is making an effort to plant itself firmly within the e-sports scene, with many initiatives already underway. Over the last weekend, the heat was cranked up in chilly Genting as the busy getaway destination played host to one of the region’s most highly anticipated e-sports events—the ESL One Genting Minor. As part of the Dota 2 Pro Circuit planned out and implemented by game developers Valve, the Genting Minor featured a prize pool of US$400k. 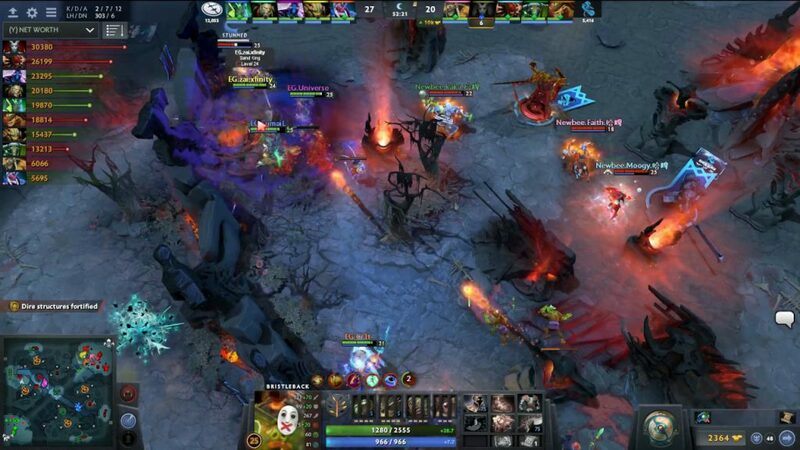 It was one of the most hotly contested tournaments held in the SEA region leading up to this year’s installment of The International (or TI for short)—the holy grail of Dota 2 tournaments that usually takes place in Seattle, Washington every August. Teams aiming to qualify for the International compete for Pro Circuit points in a series of tourneys held around the globe called Majors and Minors, with points given out to the highest placing teams each tourney. At the tournament in Genting, 16 of the world’s best Dota 2 squads battled it out over almost a week of preliminaries and playoffs, with the event culminating in a grand final showdown that was essentially a rematch of the TI 2017 grand finals. In a nail-biting encounter, Chinese favourites Newbee ended up defeating current TI champions Team Liquid with a score line of 3-2. The tournament was generally pronounced a success, but there were a few things we observed from the event on a whole that we thought to highlight. 1. E-sports is well on its way to mainstream consciousness. Over the weekend, ESL Genting was attended by a crowd of over 5.5k and had an online viewership of no less than 2.6 million through streaming services such as Facebook Live, Twitch and HuoMaoTV. The viewers chalked up around 53 million hours watched in total. These numbers represent a healthy interest in e-sports as a form of entertainment not just regionally, but globally. This goes not only for Dota 2, but also for many other e-sports titles out there such as League of Legends, CSGO, and Overwatch. 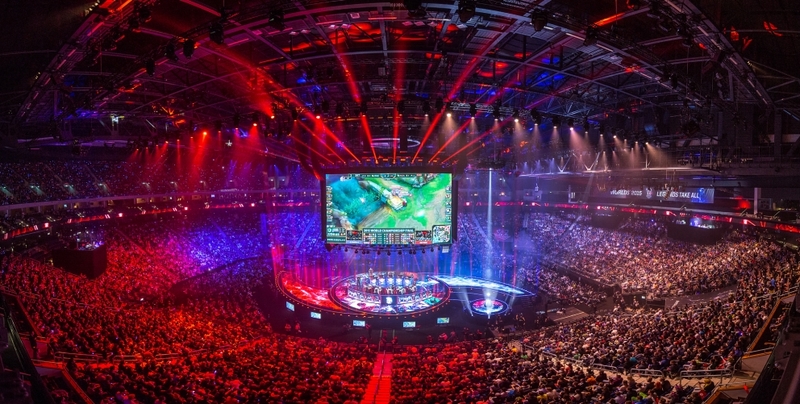 For example, in 2015, the League of Legends final held in Berlin pulled a whopping 36 million unique online views; outdoing the 31 million that watched the 2016 NBA Finals match between the Cleveland Cavaliers and the Golden State Warriors. Another impressive statistic involves the prize money given out to participants at such tournaments. At last year’s TI, top Dota 2 teams competed against each other for a share of a prize pool that totaled US$24.7mil, with the winning team pocketing an incredible US$10.8mil. If anything, these figures prove that e-sports will no longer be relegated to merely being a niche interest, but instead a multi-million—potentially multi-billion—dollar industry that will rival football, basketball, and other popular sports as an entertainment platform with global appeal. Even major sports portals such as ESPN have dedicated a portion of its content offering to the coverage of e-sports. 2. Malaysia has the potential to be a major player on the scene. With e-sports garnering interest in the millions, it’s also great to see that Malaysia is making a concerted effort to firmly ground itself in the scene. For one, Malaysia already has prominent cyber-athletes making names for themselves on the global stage, particularly in Dota 2. 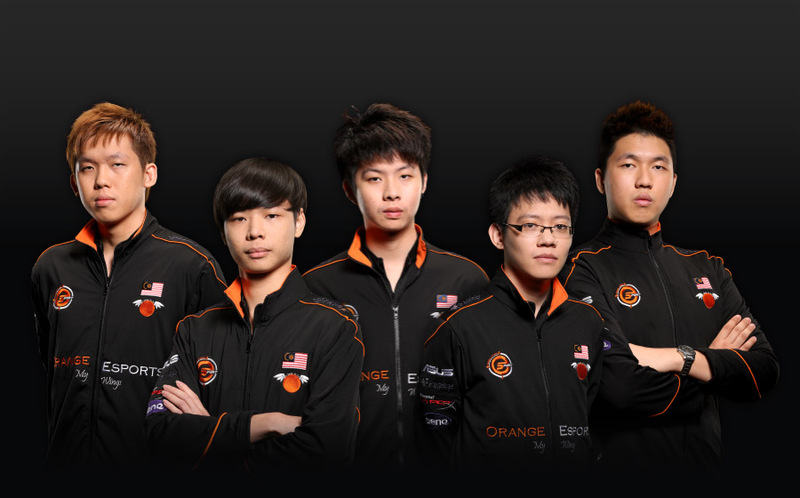 While no Malaysian team or player made it to the finals of ESL One Genting, Malaysian e-sports enthusiasts will remember the time when local squad Orange E-sports made waves by placing third at The International 2013 and securing themselves US$287k in prize money, signalling Malaysia’s firm footing within the e-sports scene. Currently, Malaysia has players featuring in prominent teams around the globe, with a few of them even considered as being among the best in the world. These include players such as Yeik “MidOne” Nai Zheng of European giants Team Secret, Chai “Mushi” Yee Fung of Mineski, and Wong Hock Chuan who won TI 2012 with Chinese powerhouse Invictus Gaming. In regards to the development of e-sports locally, the Malaysian government has also looked favourably upon the industry, with Prime Minister Najib planning to make use of e-sports as a source of revenue for the nation. This is evidenced by the growing number of e-sports related initiatives that have been taking place across the nation: major tournaments such as ESL One Genting and the upcoming Malaysia Cyber Games 2018, the birthing of e-sports academies locally, and the availability of e-sports on television such as Astro’s eGG Network. 3. There are still a lot of issues to iron out in the meantime. While the grand spectacle of the Dota 2 tournament transpired without incident over the weekend, ESL (the organisers of the Genting Minor) were embroiled in a controversy involving the broadcast of the event. While most major e-sports tournaments are usually shown live on gamer-friendly streaming platforms such as Twitch and YouTube, ESL this time opted instead to use Facebook Live as the streaming medium of choice. This decision proved unpopular with a majority of viewers, who preferred the faster speeds and more interactive features of the usual streaming services (in particular Twitch), and many attributed the decision to a possible lucrative business deal between ESL and Facebook. Intending to capitalise on this, many prominent Dota 2 personalities—including professional players and casters—took advantage of the easy access to tournament gameplay footage (professional matches can be watched at home through the Dota 2 game client on PC) and hosted the tourney on their own Twitch channels. This didn’t sit well with ESL, and various copyright-infringement-based bans were leveled on many of these re-broadcasters, sparking outrage amongst viewers worldwide who preferred watching games on Twitch compared to Facebook Live. A game of competitive Dota 2 from TI7. ESL cited the Digital Millenium Copyright Act (DMCA) as grounds to clamp down on unauthorised rebroadcasts of their event, while streamers were adamant that Valve’s Video Policy allowed them to broadcast the tournament without worrying about infringing on copyright laws. On the day before the playoffs, Valve (the creators of Dota 2) came out to personally decry any claims that ESL made against the unofficial broadcasts of their tournament, stating that the right to clamp down on streaming of Valve-owned content belongs solely to them and them alone. This effectively allowed streamers to broadcast the remainder of the tournament and putting an end to the controversy. While the issue finally fizzled out in the end, it was telling of how much further e-sports as an industry still has to go with regards to professionalism and self-regulation. This incident was just one of many controversial happenings over the past couple of years. With any luck, we will hopefully see a decline of this as the industry continues to iron out its problems. The e-sports scene is currently growing at an exponential rate, with global revenues via media rights, advertising, and merchandising expected to hit US$1.5 billion by the year 2020, and it’s now only a question of how soon it will be before it reaches the reach and scale of more traditional spectator sports such as football, basketball, and tennis. Late last year, the International Olympic Committee even laid out a set of guidelines in the event—however likely or unlikely—that e-sports gets accepted into the Olympic Games. The future of the industry, while still highly speculative, looks bright. And it will be interesting to see how the economy—both internationally and locally—will benefit from the growth of an industry that could potentially be worth billions.